2016 - Page 3 of 20 - Marketing & Brand Strategy. Steve Poppe, Founder. 4 Types of Brand Planner. Beyond the Dashboard planners look back. They also at the fast approaching and statistical. But then they do something smart with the learning. They think primarily about the future. That dark-bright place where nobody’s ever been. Yes, it’s scary. But, oh so human. It’s where all the big whooshes in business are born. Every big brand needs a beyond the dashboard planner. A Specific Brand Planning Polemic. My earlier post about brand polemics has me thinking about ways in which my framework is different from most. Having not studied directly under any of the British planning mafia or working at any length in a planning department, I’ve had to home school myself. Sure, I’ve met with accomplished planners, studying their careers and outputs, and also read numerous Account Planning Group and Effie Awards cases, but much of my framework can’t be found in a book. One key driver of my practice, borrowed from time as marketing director at an educational technology company, has to do with pedagogy — the science of teaching. During my time at Teq (the education company) I learned the difference between teaching and learning. Learning is the goal or objective, teaching the strategy or process. Many students are taught but do not learn. In brand planning (and marketing, for that matter) success is more tied to learning than teaching. Learning influences behavior. Teaching doesn’t always. Poor teaching, or poor selling, can actually have a negative effect. By focusing more on learning than teaching you have a major leg up. I saw the word polemic in an article about the alt-right and had to use it in a post. I’m a brand polemist. At What’s The Idea? brand strategy is defined as an “organizing principle for product, experience and messaging.” In and of itself, that is controversial. Many brand agencies don’t consider product or experience in their work, they cut straight to messaging. When brand strategy involves product it means the claim and proof planks inform product features, composition, even formula. When brand strategy relates to experience, it informs in-store, customer journey, website content and usability. It may involve media usage, e.g., Twitch Points (Google it). But mostly, brand strategy is about messaging, advertising, campaigns and communications. The comms and graphic presentation of a brand being the bread and butter of the branding business. The contrarian polemic is one that puts product and experience on par, or even ahead, of messaging. Get the first two right and the last one has to follow. The Nusra Front, a Syrian Al Qaeda affiliate, has rebranded (the NYT words, not mine) as the Levant Conquest Front. Never in my lifetime has branding been more life and death. With the rebranding, which will heretofore be referred to as renaming, the Levant Conquest front has stated it is a local terrorist organization, targeting only the government of Syrian president Bashar al-Assad. It no longer intends to target the west. It would not surprise me if this announcement was made via a press release. Such is the social media and terror media today. After 5 billion words, America’s news media can’t even decides what to called ISIS; often referring to it by all three recognized names (ISIL and Daesh being the other two). The fact that branding has now found its way into terrorist circles may sicken but it does explain the sophistication of networks, recruiting and geo-political posturing. Moving forward, I refuse to use the word “brand” in association with terror groups. I wish the media would join me. It tarnishes a business that is all about hope and possibility. “Quality is our recipe” is the new tagline for fats food chain Wendy’s. It adorns all the stores. Quality is an industrial word. It’s not a food word. If you go to a Lidia Bastianich or Eric Ripert restaurant you’re not going to savor a meal and talk quality. The key to branding is finding the right “claim” and proving it every day. I use three proof planks to support the claim. Three provides focus. Were I to parse the quality claim for Wendy’s I might select “ripeness” for vegetables, “natural” for ingredients, e.g., less additives, few GMOs, real sugar, and “immaculate facilities.” I’m just riffing here but you might actually build a nice story with this strategy. The problem, however, is the word quality. A far as claims go, it’s in the neighborhood, but a Norwegian neighborhood. Quick, name a tasty Norwegian food. Brand strategy claims need poetry. Humanity. They need aspiration and emotion. Wendy’s can do better. This is a company that has always been ad campaign driven, not brand strategy driven. Over the last 30-40 years the business environment has evolved from a manufacturing economy to a service economy. We are making a lot less things and selling a lot more service, software and subscription. If you ask a small service economy business owner, say, in the financial planning business, if her company has brand, she is likely to say “yes.” On probe, she’ll offer up her company name. Maybe logo. Even $75 million companies in the service sector would agree they have a brand. But ask the CEO or marketing director and you’d get the same answer: name and logo. The fact is, most service companies don’t get branding. Sure, they understand signage, advertising and graphic standards, but they don’t know it to be the “organizing principle for product, experience and messaging” branding really is. When your business, as my dad used to say, goes up and down in the elevator every day, it’s hard to see it as a brand rather than a group of people. But, oh, it is. Service companies have a leg up on product companies, because unlike products, people are living, breathing, intelligent beings with friends. But service economy companies need strategies. Brand strategies. 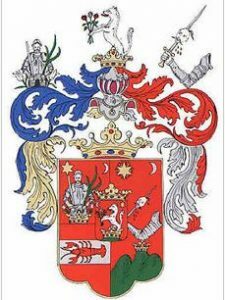 Centuries ago, well-to-do European families had family crests. Crests were actually helmet ornaments for you historians, but for the purpose of this post I’m going to make synonymous crests with heraldry or paper heraldry. Here is a Wikipedia definition of Heraldry. The beauty and pageantry of heraldic designs allowed them to survive the gradual abandonment of armour on the battlefield during the seventeenth century. Heraldry has been described poetically as “the handmaid of history”, “the shorthand of history”, and “the floral border in the garden of history”. In m bit more modesty. Hee hee. Brand managers, ask yourselves to develop a crest for your brand. What pictures would you use? What are your brands’ most famous and motivatinodern times, heraldry is used by individuals, public and private organizations, corporations, cities, towns, and regions to symbolize their heritage, achievements, and aspirations. The brand planning rigor here at What’s The Idea? works hard to identify “heritage, achievement and aspiration.” These things are the groundwork for brand planning and contribute to the “one claim and three proof plank” strategy construct. The claim and proof array align nicely with the crests and heraldic designs of yore…but, perhaps, with ag achievements? I love my briefs. Not tighty whities or bike shorts. Brand briefs. I’ve got a million of them on the hard drive. What gets my engine going when reading old briefs are the insights. Insights about targets, consumer desires, claims and proof arrays. Insights are the stim creative people crave. When well done, insights wrapped in a poetic, meme-able packages, light fires under art directors, copywriters and creative directors. Insights are catalysts supporting the brand idea. A good brief will offer up multiple insights – but it’s the creatives who figure out which are most actionable, motivating and fanciful. Early on I recognized I’m only about 15% creative. I’ve worked with, studied, and stalked some of the great creative minds in the business. I’m not them and never will be. Being a diagnostician and insight doctor is the next best thing. 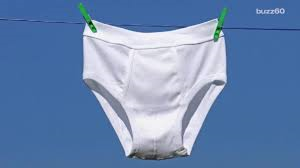 My old briefs remind me of the love. Campaigns come and go, a powerful brand idea is indelible. Peace, in this “post truth” campaign world. Breaking a Brand Strategy Rule. A few years ago I worked with a single store retail engagement ring outlet to develop a brand strategy. After much digging, discussion and thought it occurred to me that for this particular brand “amazing engagement rings are born (not bought).” That was the idea. The target on my brief was “couturing brides to be” because they were not the type to want an off-the-shelf ring. They were more emotional, even fussy. For them the ring was a deep symbol of their love. This ring purveyor had developed a process that was broken down into three stages – which I liked to a baby’s birth: conception, gestation and delivery. The one hour conception or consultation stage was like foreplay, filled with desire and intimacy. The gestation period included stages of viewing, understanding and nurturing – between woman and designer. It included trying on wax ring molds for fit, stone placement and style. And delivery was a celebration of the actual casting and stones. Always ready for complications, the birth of the rings was seen as life-changing. Amazement was key to this part of the process. The brand strategy claim (amazing engagement rings are born) and planks (conception, gestation and birth) focus on a process. The strategy positioned around a process. Mostly when I talk about brand strategy, I talk about care-abouts and good-ats. This one was unique. Though the process was a brand good-at, consumers weren’t sure it was a care-about. Sometimes you have to go off-piste in brand strategy. This was one of those times. 90% of brand strategies are arrowheads. They have a points, are sharp, and are usually well crafted. In most cases, brand strategies are ad agency crafted. In the agency creative process – the building of the ads – the last thing often completed is the tagline. Taglines are summations of all the creative work. In the case of Northwell Health, a huge NY area health system, the wan tagline “Look North,” is not a brand strategy. It’s a bow on the present. In the case of Memorial Sloan Kettering Cancer Center, tagline “More Science. Less Fear.” is both a tagline and brand strategy. It’s provable. 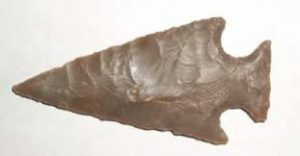 Arrowheads are pretty and last a long time in the dirt as any archeologist will tell you but as a tool they are worthless without a shaft and flights (feathers providing stability.) Ever try throwing an arrowhead? Brand strategies un-complicate complication. As an organizing principle “One claim and three proof planks” transform pages and pages of product, positioning, segmentation and experience folderol into a workable business-building system. Carrying the metaphor forward, brand strategy puts aerodynamics behind the tagline. Look at your marketing documents and outputs and see if you can put onto paper your claim and proof array. If you can’t, you are tossing arrowheads.